Ben Bartlett was elected to Berkeley City Council in November. Now he's running for State Assembly. 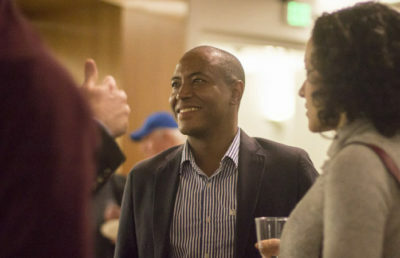 During his time on the council, Bartlett has focused most of his attention toward affordable housing in Berkeley, creating projects such as the “Step Up Housing” initiative passed in February and promoting more affordable housing units in the Adeline Corridor. According to Bartlett, his greatest accomplishment was the Tenant Protection Ordinance, as it allowed individual tenants to respond to landlord harassment. But, Bartlett said one reason he wants to run for State Assembly is that Berkeley does not have enough resources to continue working on providing affordable housing. Bartlett said he also wants to inspire young children of color, including young Black boys, so they know that if he could run for office, they could too one day. 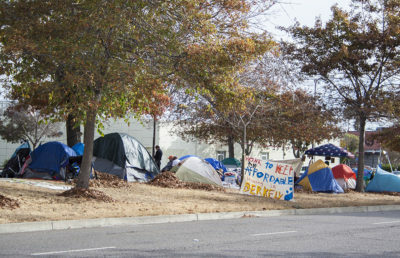 Mike Zint, the founder of the advocacy group First They Came for the Homeless, said homelessness is not an issue that can be solved in Berkeley, but it could potentially be solved by the Bay Area. He said Bartlett has done his best to bring change for the homeless community in Berkeley. He added, however, that city politics could have prevented some of these policies from moving forward. Chris Schildt, a member of the city’s Planning Commission, said Bartlett’s work toward providing equitable development was a big achievement over the summer. She said this work helps the community decide what the community needs before developers come in with a proposal. Homeless activist Guy “Mike” Lee said Bartlett’s work with homelessness and Urban Shield has been “outstanding” and innovative. He said he wished Bartlett had more time to improve the relationship between UC Berkeley and the city because of the lack of housing for students, but Bartlett’s ability to “get stuff done” is why he wants Bartlett to run. Zint said if Bartlett is able to “stick by his guns,” then the solutions he put forth on City Council would be able to take effect at a larger scale in the State Assembly. Despite Bartlett’s lack of experience in politics, Zint said he believes Bartlett will quickly learn from his mistakes and make good decisions. “He’s a leader, and he should go where the community needs him to be,” Schildt said. Gibson Chu is the lead city government reporter. Contact him at [email protected] and follow him on Twitter at @thegibsonchu.